Any object with a temperature above absolute zero (-273.15 °C) emits infrared radiation which cannot be seen by the naked eye or traditional CCTV cameras. Our uncooled thermal sensor cameras detect and process this into an image that can be viewed. An ideal choice for surveillance in challenging environments, thermal imaging cameras can detect vehicles, people, footprints and hidden objects with heat traces, even in complete darkness. 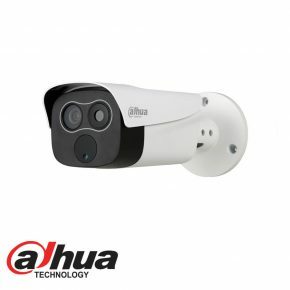 Dahua thermal cameras use uncooled Vox sensor technology. Because of the small size and better performance, it’s a cost-effective solution for thermal security. High thermal sensitivity(<50mK) makes cameras capture more image details and temperature difference information. With built-in Fire detect function, the camera has the ability to detect fire over a long distance. because the thermal camera is sensitive to temperature, so the accuracy of fire detection will be higher than the standard camera. 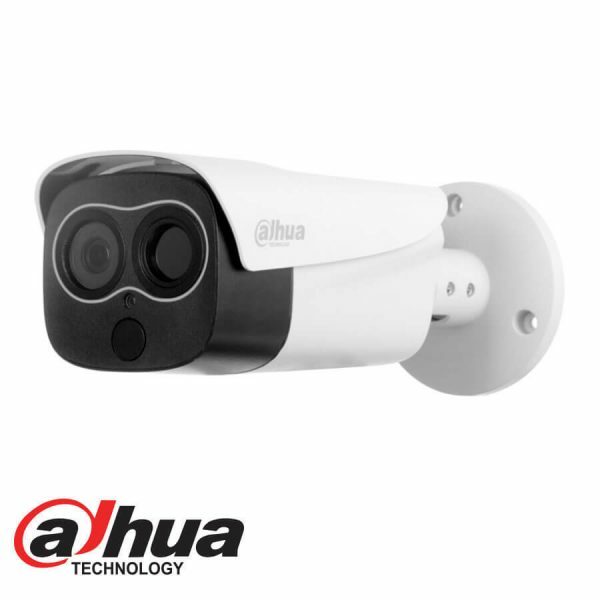 Dahua thermal cameras (-T models) provide remote temperature monitoring functionality with the ability to set temperature threshold alarms. Object temperatures can be monitored in daytime or at night, making them ideal for usage in power plant or oil extraction applications where overheating can be dangerous. When the temperature exceeds the set threshold, an alarm is triggered. The temperature range is between -20 °C to 450 °C (-4°F to 842 °F). With built-in intelligent video analytics, the camera has the ability to detect and analyze moving objects for improved video surveillance. 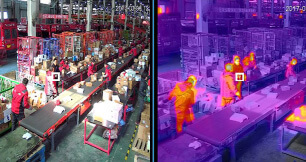 The camera provides optional standard intelligence at the edge allowing detection of multiple object behaviours such as abandoned or missing objects. IVS also supports Tripwire analytics, allowing the camera to detect when a pre-determined line has been crossed.